Although touched on in the PMBOK, most of us have little exposure to Monte Carlo analysis – which is a shame! 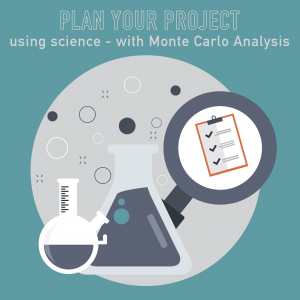 Monte Carlo analysis can add a new level of credibility to our planning when the stakes are high by backing it with real science and statistical models. In this course, we demystify this tool, discuss its benefits, discuss when it is appropriate, and talk about why math is our friend. From mining to professional services, contact centers and orbital battle stations, we discuss how Monte Carlo can help you run your business. By the end of this course you will have an understanding of what Monte Carlo simulations, and how to apply them to your projects. This course is worth .75 Technical PDU’s or continuing education credit. On completion of this course and passing the quiz with 80% or greater, you can download your certificate. If you are a PM Happy Hour Member and have provided us with your PMI ID, we will upload your PDU’s for you, and email you confirmation.